The Sundial Primer - Sunny Day U - "Dialling Buddy"
The idea of the "Dialling Buddy" originated with the discovery of Mike Shaw's "Universal Dialists Companion" (UDC). 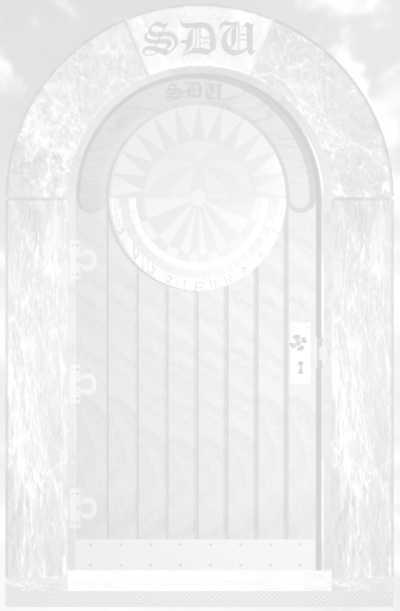 Mike is a diallist who resides in the UK and he developed the device illustrated in Figure 1. The UDC is an excellent aid for anyone interested in dialling. Mike also has a great presentation that discusses the theory behind the design of the UDC as well as providing examples that show how to use the device. Figure 1: Mike Shaw's "Universal Dialists Companion"
Mike also has a sundial web site and he would certainly welcome a visit. Go and see what he's got. Special thanks to Mac Oglesby, a diallist residing in the USA, for reviewing the "Dialling Buddy". Your help is greatly appreciated. The "Dialling Buddy" is based on the same principles as the UDC but the design is a little different. 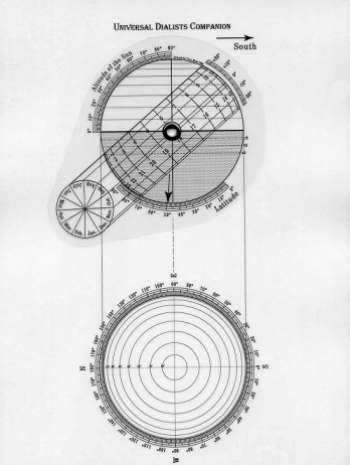 Figure 2 illustrates the "Dialling Buddy". IMPORTANT: To help you learn how to use the "Dialling Buddy" first go to The Sundial Primer "Sun Charts" page. There you will learn about the sun's path in the sky at different locations and different times of the year. Information is also available on the dialling data that can be obtained from sun charts. There is a link to a site where you can generate online sun charts for any location. These charts can be downloaded for printing. Get a set of sun charts for your location. 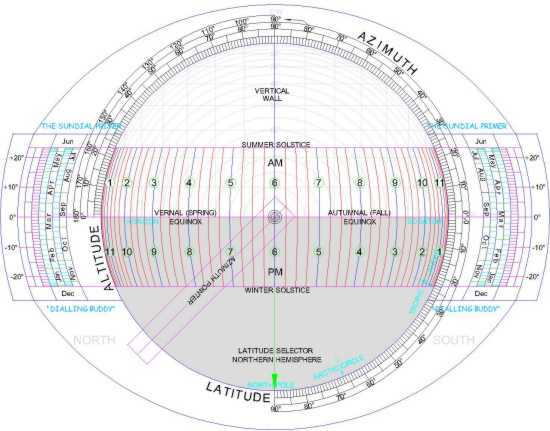 Once the "Dialling Buddy" is set to a particular latitude it will give you all the information that the sun charts generated for the same latitude provide. Why? 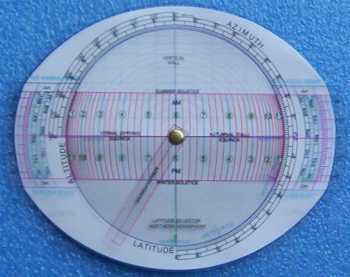 The "Dialling Buddy" actually shows the sun's path as shown in a sun chart but viewed in profile, as though you were looking to the east. From this view the path of the sun is a straight line moving upward from north to south in the morning and downward, along the same straight line, from south to north in the afternoon. 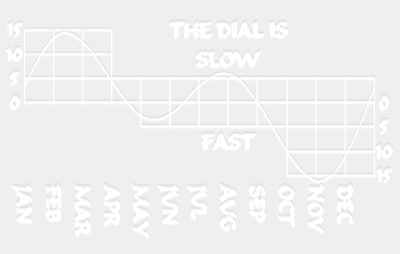 However, while a sun chart shows the path of the sun for one day a month, the "Dialling Buddy" has a date scale that is divided into periods of 5 days whenever possible. Intermediate dates can be interpolated. The "Dialling Buddy" also has time intervals of 15 minutes while the sun chart has one hour intervals. In any case, a set of sun charts will help you to learn how to use your "Dialling Buddy". The time range for a horizontal sundial. The time range for vertical direct south sundial. The time range for a vertical direct east sundial. The time range for a vertical direct west sundial. The time range for a vertical direct north sundial. The time range for vertical declining sundial. The sun's declination on any day of the year. The sun's altitude on any day of the year. The "Dialling Buddy" indicates the time as local apparent or solar time. If you would like to get standard time be sure to get a copy of the "Correct-A-Dial" calculator. With both these devices at hand, you will be good to go. If you would like to have your own "Dialling Buddy" you can download a pdf file of a kit that you can put together. It consists of four parts of which two should be printed on card stock or glued on to cardboard. Two parts must be printed on clear transparency material. The transparent plate must be able to rotate so it can be adjusted. The "Azimuth Pointer" is also printed on clear transparency material, must be placed at the top of the device and be able to rotate. Instructions on the use of the "Dialling Buddy" are provided. The "Dialling Buddy" comes in both colour and black and white versions.